Under the current regulations, the ownership ratio of foreign investors in the local stock market is limited to 49%. In 2014, Ha Long posted output worth more than VND1 trillion ($46 million), or 114.3 per cent of the yearly target, and revenue of more than VND1.38 trillion ($63 million), equivalent to 100.2 per cent of the target. The Ha Long shipbuilding company is one of the eight subsidiaries of SBIC that are expected to complete equitisation this year. 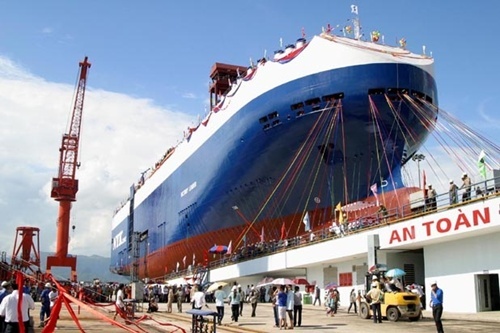 SBIC Deputy Director General Pham Thanh Son said the plan to equitise the company was feasible because it had mechanisms to handle debt, and had strategic partners that were leading shipbuilders in the world. Under the equitisation plan of the company, public debt will be cleared first to bring the ownership capital down to zero. Then, Ha Long will transfer part of the capital loaned by SBIC, its mother corporation, as its charter capital. That means the company must resolve its financial problems before carrying out equitisation. Deputy Transport Minister Nguyen Hong Truong, who is also head of the Equitisation Steering Committee of SBIC, said Ha Long Company’s equitisation plan was on the right path. Equitising shipbuilding companies under the government’s direction was a beneficial measure that would help businesses to continue their development and create good working conditions for its employees, while creating highly competitive products for the country’s shipbuilding industry, he said. He asked SBIC to complete the equitisation plan for Ha Long Company so that it could be submitted to the Prime Minister soon for his approval. Ha Long will be equitised first, and the remaining companies will be equitised under that model.